Davidson describes his locales vividly and paces the story briskly, eventually building to a poignant, tragic and ironic denouement. From the first sentence, the quality of writing stands out in this fine novel about the events that led to Leon Trotsky’s assassination–a skillful blend of history, political intrigue, culture, betrayed love, and the author’s almost uncanny ability to paint a vivid picture of those times and places. Ramón Mercader seemed to have everything—a lush life in Paris, evenings with Frida Kahlo and other artists, and the love of a beautiful woman who shared his leftist ideals—so why did he carry out the murder of Leon Trotsky, a leader of the Bolshevik Revolution? Because this bourgeois life was a façade constructed by his mother and her lover, both Soviet agents loyal to Stalin. 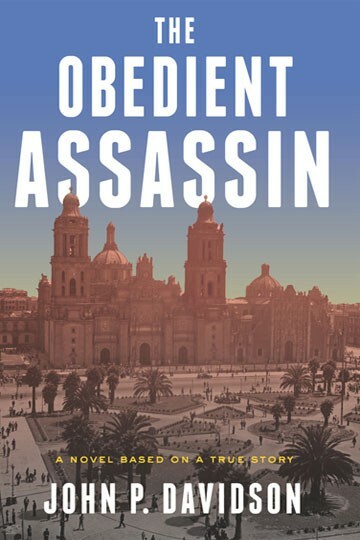 Author and journalist John P. Davidson follows the twisted and melancholy path to assassination in THE OBEDIENT ASSASSIN: A Novel Based on a True Story (Delphinium Books/distributed by HarperCollins; February 2014). Based on 10 years of meticulous research, Davidson recreates the story of a man at a crossroads of modern history. Mercader was recruited from the frontlines of the Spanish Civil War and his newly assumed identity of a Belgian aristocrat allowed him to insinuate himself with the exiled Trotsky’s circle in Europe. When he fell for the Jewish woman he was ordered to seduce to get closer to Trotsky, his obedience began to weaken and his conscience threatened to betray him. THE OBEDIENT ASSASSIN leads the reader through Spain, France and New York, and finally to Mexico, where Mercader contacts Kahlo and Diego Rivera, who had offered Trotsky and his wife refuge in one of their gated homes. With the atmosphere and detail of the memorable spy novels and movies set in the mid-20th Century, this novel captures the drama of one of the most tumultuous times in world history—and one of its most controversial events. 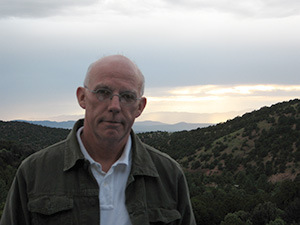 John P. Davidson began writing for Texas Monthly in 1976, and in 1980 published the expose, The Long Road North (Doubleday). He subsequently received a NEA grant and the Penney-Missouri Prize for Excellence in Journalism. He has held senior editorial positions at The Atlanta Journal Constitution, Texas Monthly, Vanity Fair, and the San Antonio Express-News. He edited Texas Architect and writes frequently about culture, society and politics. As a freelance writer, he has contributed to Harper’s Magazine, GQ, Fortune, Mirabella, Elle, House & Garden, Preservation, and Mexico Business. He taught English at the Universidad Catolica de Puerto Rico, and has been a guest lecturer at the University of the Americas in Cholula, Mexico.